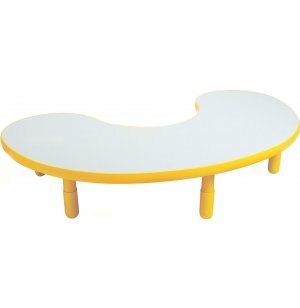 Spice up your classroom and stimulate young minds with colorful kidney-shaped activity tables. 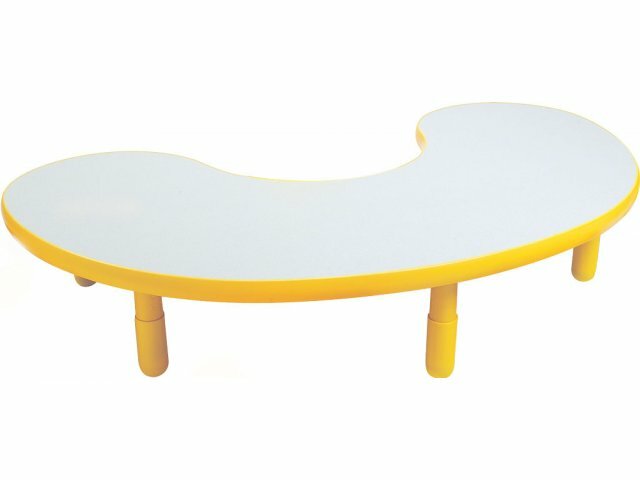 These classroom tables feature laminate tabletops and waterproof edges. Choose a table height that works for your students, from 12 to 24 inches in 2 inch increments. 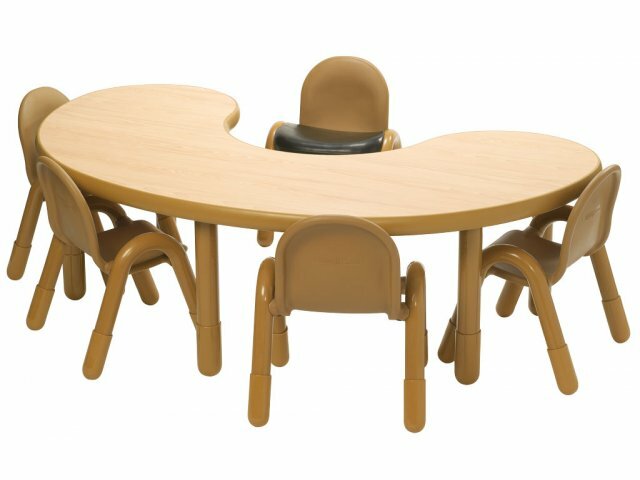 Invite students to a vibrant and appropriately-sized learning environment with Baseline School Chairs and Activity Tables. This colorful classroom furniture is low-maintenance and safe. Both student chairs and classroom tables are easy to wipe clean, and with no exposed rivets, you won't have to worry about injuries or snags. This school furniture is color-coordinated to match your classroom décor. Choose matching table accent and chair colors, or brighten up your classroom with colorful variety. Coordinated leg boots prevent rust and keep your classroom quiet even when these preschool chairs and activity tables are on the move. PVC is a thermoplastic material that is durable, attractive and strong. Tough: Laminate tabletops and waterproof edges are ready to stand up to student use and abuse. Height Options: Available in heights from 12-24 inches in 2" increments. Appealing: Available in a selection of table-accent and chair colors. Total Safety: Rounded edges and non-exposed metal fasteners prevent injury. Durable Material: PVC legs are built to last through many years of student use. Quiet Classroom: Leg boots reduce noise and prevent rust. Low Maintenance: Tables and chairs are easy to wipe down.